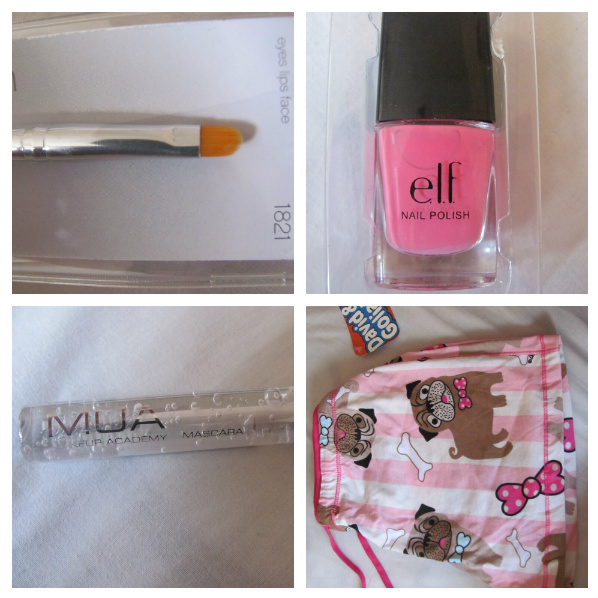 A mini teeny weeny haul... | S J M W E L L - Fashion, Beauty & Lifestyle blog. 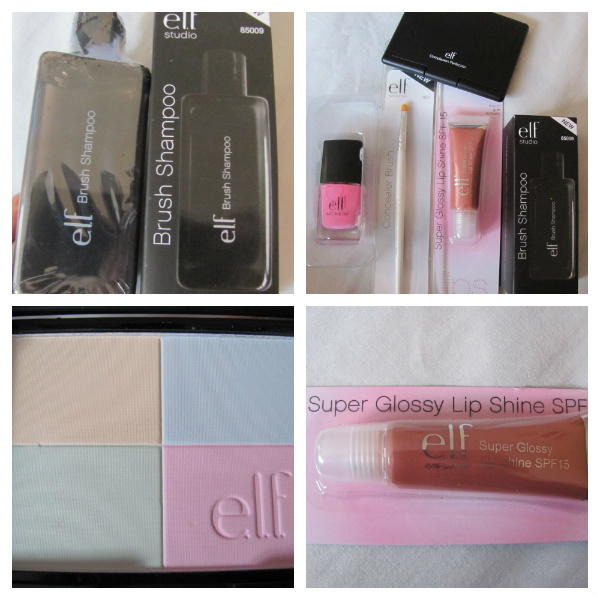 because my e.l.f package arrived today i thought i'd do a little post! After months of browsing elf's website and seeing load's I wanted to try I finally placed an order, although I only brought some product's i needed before things I "wanted"
brush shampoo, I really needed something to clean and make my brushes nice and their brush cleaner was out of stock, boo! I also wanted to try one of their nail varnishes, for £1.50 each... bargain if its nice. I got one in gum pink because even though I have sooo many pink & purple varnish I wanted a barbie bright pink and this is lovely, I haven't tried it properly but I swatched it earlier and even though it looked thin it coated great- may have to buy extra colours! i wanted to also try the complexion perfection after so many people talking about it, even though it soaks up oil, and i don't have an oily face i hope it works... i have a dry face, the opposite- hm. don't let peoples and my photos fool you, the colours are rather different then in person, not that it matters much! also picked up a concealer brush from their 1.50 line because i need to stop using my fingers and be more precise, ITS SO TINY! honestly, when i saw it i was like "oh." but a good oh, it looks like it will be perfect to get under your eyes near the lashes while being precise, can't wait to try! i got the lipgloss in goddess as a free gift because i entered a coupon code, i never wear lipgloss, i only have 1 barrym but i might try it out. even though i really hate companies charging soo much for posting, i really don't mind for e.l.f because i placed the order at 11pm monday night, i got an email tuesday that it had been dispached and it arrived today, perfect service. in the future i will pay the full postage price if i needed too but for £1 i was pleasantly pleased. i haven't brought from elf since last august which was only eyeliner, can't wait to try more because its such good prices, i think they need to have more offers etc for england like they do for america though- im a bit of a bargain girl and i love coupons etc ha! also picked up a clear mua mascara in shade 1 (just for my eyebrows) and a small plastic pot to mix my foundation in. My mum also treated me to some David & Goliath pug shorts when we went to London even if i can't get the pug yet its sort of the next best thing! post, hair styles and a mug of soup!